I own a handful of grills… ok, maybe more than a handful. Do I need all of them? No, I probably don’t. But I enjoy adding new cookers to my collection for the fun of experimenting and teaching myself new techniques and approaches to grilling. Through all of my testing, I’ve found find that every cooker has positives and negatives; there isn’t really a best or worst grill. 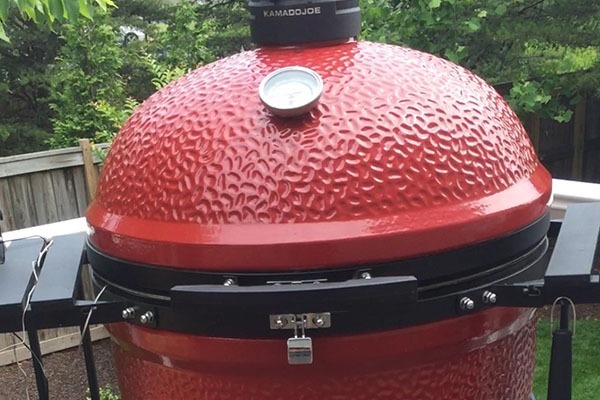 The Kamado Joe Big Joe ceramic cooker is no exception to this rule and is, on the whole, an excellent cooker with some small issues I would love to see improved. 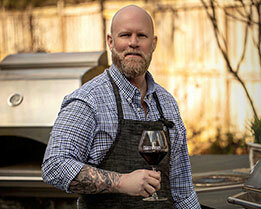 *Specs taken from the Kamado Joe website. For me, the best part of this grill is the new air lift hinge. If you’ve used a ceramic cooker, you know the lid can get pretty heavy—especially on the bigger models. This Big Joe is a monster, but the design of the hinge makes lifting the lid a breeze. This lid can easily be lifted with one finger! As if that weren’t enough, the lid-mounted thermometer is surprisingly accurate. This is a real accomplishment as most built-in thermometers, even in high-end cookers, are notoriously unreliable. 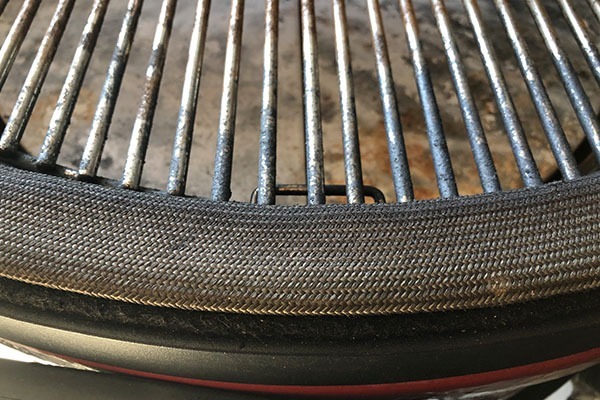 While I appreciate the new wire mesh gasket that seals in heat and smoke between the cooker and the lid, it creates a need for a latch to keep the lid closed and the latch is a weak point. That said, it’s not your typical gasket and has a robust design that seems to indicate it will not need to be replaced as often. The Big Joe also boasts a removable ash tray that makes cleaning out the ash from the grill a snap, a very cool design feature and one that’s perfect for a clean freak like me. The tray sits under the newly-designed modular firebox, which was updated to resist cracking over time. 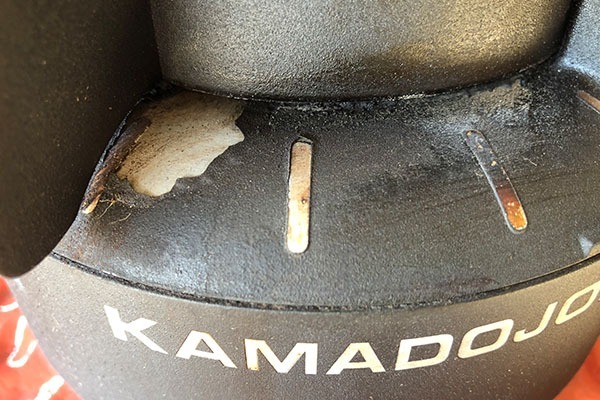 That said, I owned an older KJ model with the standard firebox (often seen on other ceramic cookers too) for years and never experienced any cracking. Finally, I love the lineup of accessories that are available for the Kamado Joe. The Joetisserie, for example, is a must have! Two of the improvements made to the new Kamado Joe don’t seem to have added much to the experience. First, the “kontrol tower” top vent—a terrific idea, in theory—has some drawbacks. Its design prevents water from getting in the cooker when it rains and stops the vent from changing position when the lid is opened (a common issue on the old daisy wheel design). Unfortunately, after two or three cooks the top vent becomes so “gummed” up that it requires a very hot burn-out to clear the buildup. With several 650-degree burn-outs (think of a burn-out as a self-cleaning cycle for the oven) under my belt, the black coating has begun to peel off of my vent. Additionally, I get a seemingly constant drip of dark fluid that runs down from the vent and leaves some unsightly streaks on the otherwise beautiful red lid. My other big issue is with the latch on the cooker’s lid, referenced earlier. 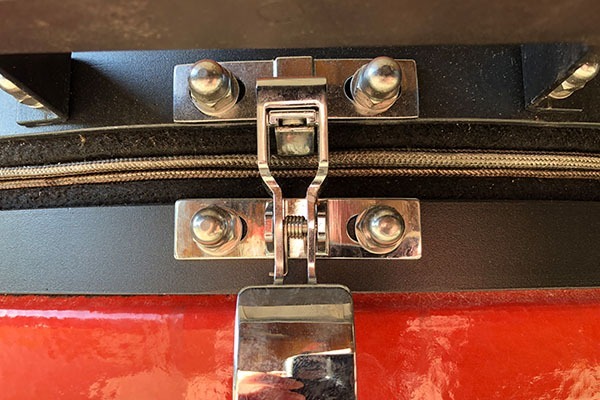 I appreciate the utility of it, as the thicker and more robust gasket makes a latch necessary to keep the lid closed tightly. 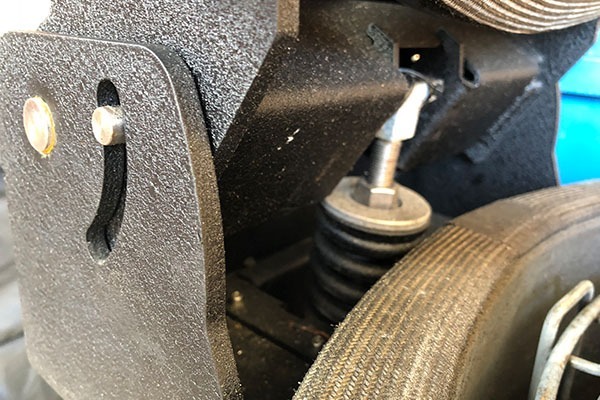 However, as of this review, I have had two of these latches break. I don’t know if it is a design issue or a material issue, but it is unnerving. On the bright side, the customer service at Kamado Joe is incredible and replaced the latch quickly. All they required from me was a photo of the broken part. The Big Joe is for the outdoor cooking enthusiast who frequently entertains large groups. With over 1000 square inches of cooking space, this rig can churn out serious amounts of perfectly cooked food. If your yard or deck space is limited, you may want to go with the Classic II which has a smaller footprint and a slightly reduced cooking capacity but still puts out great food. If even the Classic is still too big, I’ll be reviewing the Joe Jr. soon (spoiler alert: it’s been great for me so far). Overall, I am happy with the Kamado Joe Big Joe. It holds temperature extremely well, is very efficient with fuel, and the included standard cart is adequate. I love the innovation that happens with this company and their ever-evolving line of accessories. The few issues noted above are disappointing to say the least, so I hope they are being looked into at KJ.